We polled four distinguished Football Diehard members—Bob Harris, Mike Dempsey, Jen Ryan and John Laub—and asked each to vote on their top three players in five categories. The results were totaled, and the elite fantasy performers are listed below for the 2016 fantasy football season. 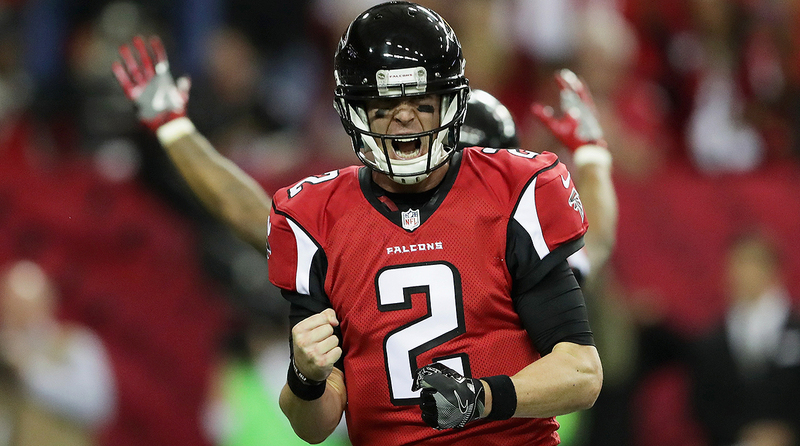 If Cam Newton was among this year’s biggest fantasy disappointments, Matt Ryan reminded us all why drafting your quarterback late is the preferred approach. After a rocky first season in offensive coordinator Kyle Shanahan’s scheme, Ryan came into his own on his second pass. He completed 373 of 534 passes (69.9 percent) for 4,944 yards with 38 touchdowns and seven interceptions for a 117.1 passer rating, the fifth-highest single-season passer rating in NFL history. That he threw touchdown passes to 13 different receivers is testament to his command of the scheme and willingness to embrace the program to the benefit of all involved —especially fantasy owners who leveraged his QB18 ADP this summer into considerable success. Rodgers threw more TDs, Brees racked up more yardage and Tom Brady wasn’t far behind considering his suspension, but Ryan was the guy nobody saw coming until he was there. The top fantasy running back of 2016 was easily David Johnson of the Arizona Cardinals. Johnson combined the high-end production of Ezekiel Elliott with the game-in, game-out consistency of LeVeon Bell. Johnson took things a step further this year as he became the first player in NFL history to begin a season with 15 straight games of 100+ yards from scrimmage. The result was Johnson threatened to become only the third back ever to post 1,000 yards rushing and receiving in the same season. Add in the 20 total TDs that Johnson accounted for and the sum total was a rare 400+ point fantasy season. The only blemish on DJ’s record was a week 17 knee sprain, but he fortunately avoided the need for off-season surgery and will be back to terrorize his opponents again in 2017. Wide receiver experienced a down year in general at the position; just ask Twitter, they are already going CRAZY over the RB vs. WR debate. Targets, receptions, and yards were all down from 2015. Jordy Nelson, however, was beyond worth wherever you drafted him. He led all receivers in touchdowns with 14 and, when fantasy owners needed him most in the Week 16 championship, he delivered with a 9/154/2 statline, good for the WR2 on the week with 36 PPR points. His clutch performance in crunch time is why I have him slightly above Antonio Brown. He is one of three players to score over 300 points and missed out on being this year’s WR1 in fantasy by a point. 2016’s Comeback Player of the Year is also the Finest Fantasy Pass Catcher. While some experts expressed reservations about drafting a rookie runner in the first round of fantasy drafts, I never waivered in my commitment and belief in Ezekiel Elliot. During the summer of zero-running back drafting, I dashed down a road less travelled, attempting to monopolize depth in the backfield. David Johnson and Zeke were my top objectives in the first round of drafts while Demarco Murray became my preferred fifth-round target. The strategy returned a huge investment. When the curtain closed on the season, the former Buckeye star finished second among running backs in points scored in ppr. formats with 325, averaging 21.7 ppg in fifteen games. Zeke rushed for over 100 yards seven times, snatched 32 receptions and scored 16 touchdowns. During the fantasy playoffs (weeks 15 and 16), Elliot scored 27.8 and 22.2 points respectfully to lead many fantasy diehards to a Championship. Choosing Elliot over the other outstanding performers was easy; the Ohio State product is the Class of 2016 Fantastic Freshman.